Bio: Peng Liyuan is a renowned Chinese contemporary folk singer and performing artist. She is the wife of current Chinese leader Xi Jinping, and as such referred to as the "Chinese First Lady" by American and Chinese media. 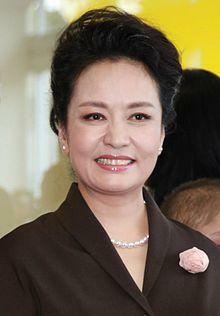 Peng Liyuan is 1.65 meters tall. she married to Xi Jinping in 1987 and has one kid named Xi Mingze.